Developer Relations (devrel) has been fun, from 100+ talks/keynotes/workshops in 2.5+ years covering some 420,000kms it’s been awesome to connect to developers and communities throughout travels. While never easy a decision to make i’ve decided it’s time to pursue some new opportunities and as such at the end of November i have decided to leave Xero. Whilst Xero in particular has been fun and i was able to work with some amazing people, and with a super cool brand and platform. It’s been an absolute blast these past months especially working alongside the amazing and highly talented CoderBec who will continue to bring the awesome. For me personally devrel has been a way to work with and encourage developers throughout the world bringing new ideas, technologies and helping connect with communities my new role i’ll be able to do that albeit in a new way. Something you quickly realise as an Evangelist particularly as you build networks out and being able to share new and emerging technology is that not only are you never far from some interesting opportunities there are a great many doors available, it’s more a question of what you want to do next and which door to open. Leaving the Xero Developer Evangelist teams means there is currently an opening to join one of the most awesome devrel teams in Australia. 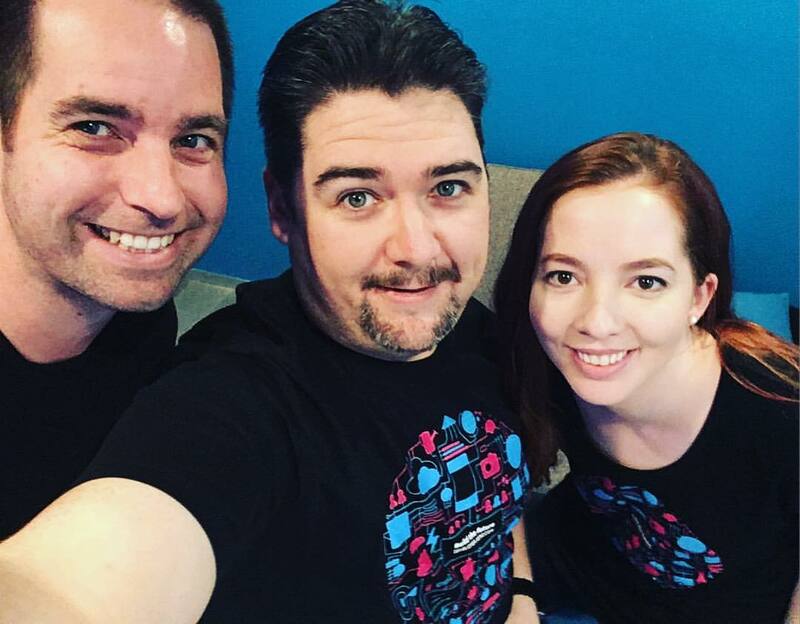 Working alongside the most excellent Rebecca Martin (aka CoderBec) from the Xero campus in Melbourne you will get to work with one of the bigger active developer networks in the country plus help run and manage the ever growing marketplace. If you want to find out more we would love to chat. More to come on that although needless to say its going to be a fun new adventure while still being the type of challenge that i always love. Ill still be out and about doing talks which of course means i’ll still have those awesome awesome puns and developer jokes that everyone has grown to love and yes the 2kg sticker bag will never be too far away so expect to see that on the circuit as well. I dont want to give too much away at this stage and there will be more to be announced soon in an upcoming Press Release …..